These are essential elements of the non-pressure underground drainage and sewerage system. 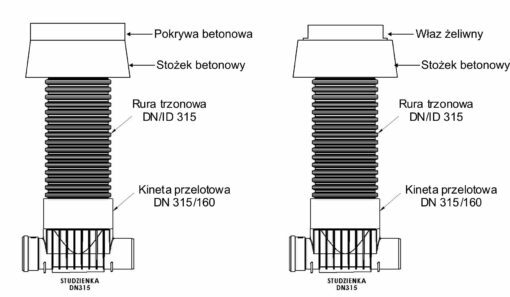 Inspection chambers produced by InstalPlast Łask allow access to the system for maintenance, cleaning or measuring the pipelines. 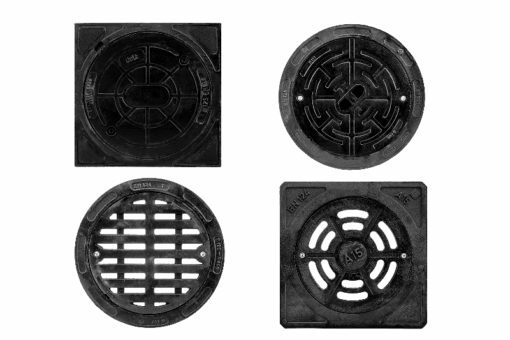 Particular components of the manholes are made of PP or PVC-U by using the injection or extrusion method of production. The raw material used for the chamber’s base production is PP, intended for injection. PP Raising Pipes are formed by extrusion and have either smooth PVC wall or corrugated, single or double wall made of PP. 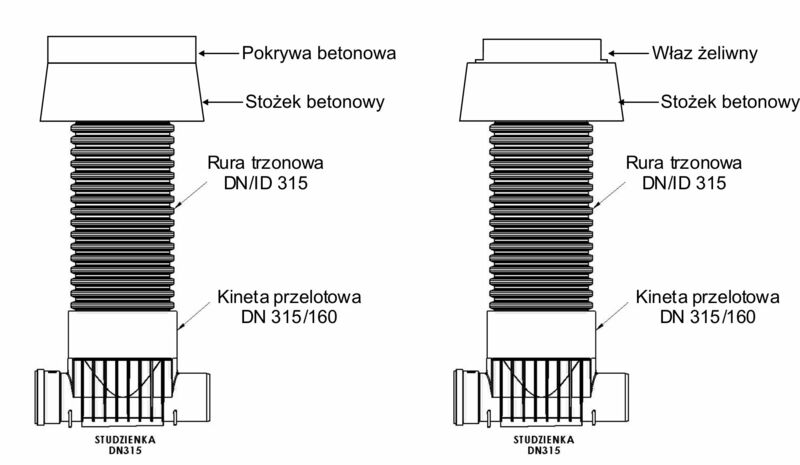 Ring stiffness of raising pipes is SN2, SN4 or SN8, depending on strenght requirements. In order to finish the manhole, we use a telescope produced by Instalplast Łask. 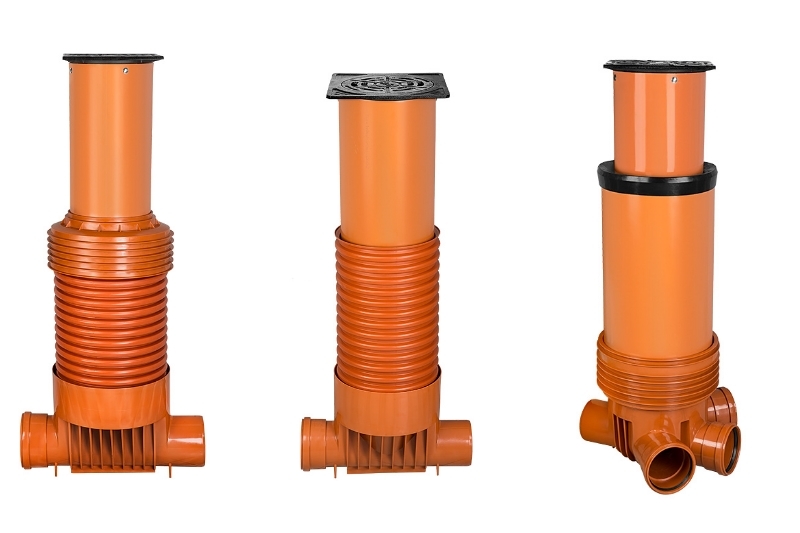 It is made of PVC-U pipe with the lenght of 0,4 or 0,7 m and the external diameter of 315, 400 or 425 mm. 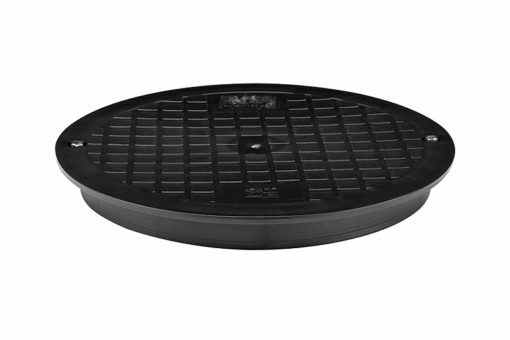 There is a cast iron cover (full hatch or a grid) permanently attached to a pipe. As an ending of a manhole, instead of using a telescope, it is possible to apply a concrete cone, mounted directly on a pipe, with a concrete or iron cover. The type of an ending is determined by the building area and the expected load. 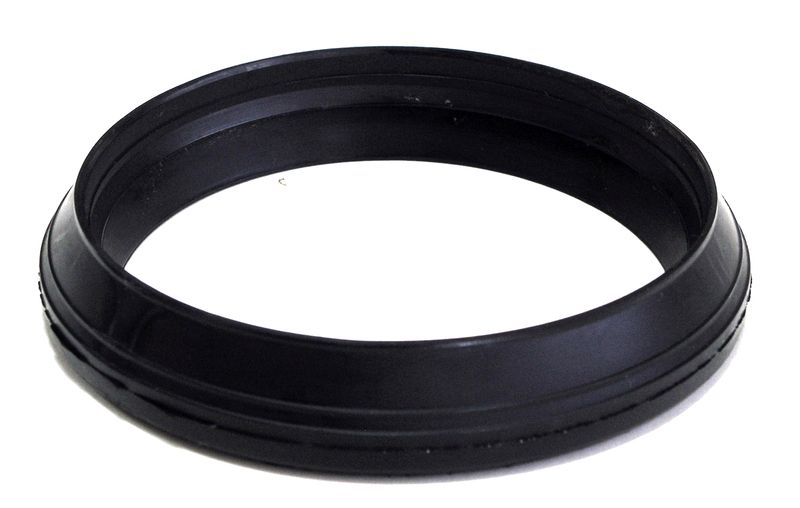 To seal particular elements of a manhole, we provide elastic rings which meet the PN EN 681-1-2002/A3:2006 requirements.